if you are using QuickBooks Desktop, you may wish to view your log files in order to troubleshoot an issue with the desktop sync app. We sometimes will request a copy of your latest log files if we are assisting you with a sync issue. On the top right hand part of the screen, you will see a menu icon. 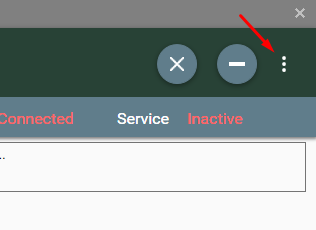 Click the icon to view the menu options. 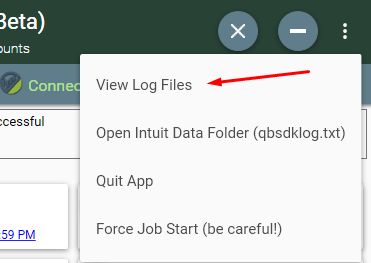 Click the menu option "View Log Files"
A window will open containing the path to all your log files. In most cases, you will want to access the most recent log file. If a support rep is asking you to send one or more log files, simply send the log files in the chat conversation or attach the log files to your support ticket/email.